Sammy Kuoch eliminates Jesse Garcia in 9th place, sending the final 8 players in today's $100 Hold'em all in to the money. 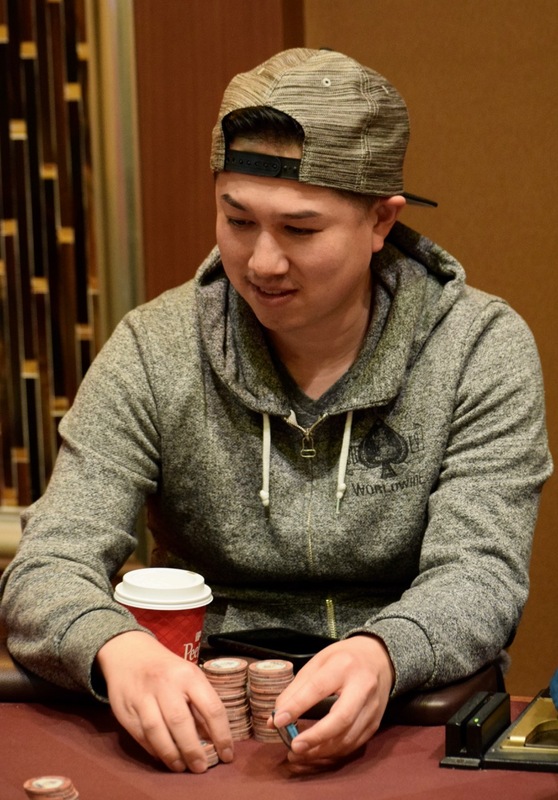 There was a brief talk about PayingTheBubble after Matt Boddorf eliminated Jose Esparza in 10th, but chipleader James Van Brunt quickly squashed that option. Today's winner earns $1,635, the mincash is $183. Frank South gets the mincash, eliminated by Van Brunt, 66 < JJ, just two hands in to the money.